StorageArea Blog | Self Storage Guides and Tips to Help For a Stress-Free Move! Home, Organization, Tips, Moving, Storage and so much more! The idea that an inanimate object could cause a variety of different emotions may sound a little far-fetched. Yet, if you ask a child to give up their favorite stuffed toy or ratty blanket, you’re likely to be met with tears. Ask a grown adult to toss out his high school football jersey, and you might get kicked in the teeth. Many items that go into storage are irreplaceable family heirlooms, collectables, or delicate antiques. Valuable items require extra care during packing as well as the right environment for storage. Proper handling and storage of such treasures can ensure that they remain in the same condition they were in before the packing process started. A great strategy for enjoying a clutter-free closet is to switch out and store clothing for use during different seasons of the year. You can also tuck away outgrown children’s clothes until needed for younger siblings. For the plan to succeed, it’s important to know how to safely store your clothes long-term. Your reward for taking recommended steps is that your clothes will last longer. To be safely tucked away, textiles need proper care and protection from mice, moths, and other pests. The following tips will help to ensure that your clothing will stay in good shape and won’t suffer any damage during long-term storage. If a move is successful and costs the expected amount, it’s usually because thorough research was done and the right questions were asked before choosing a professional mover. There is a lot of potential risk in haphazardly hiring a mover. Learn some of those risks plus six things you should know and do before hiring a moving company. Whether you’re going on a long trip, packing away your truck for the winter, or need to prep your vehicle for storage while you make a long move cross country, it’s essential that you take a little time to properly ready your automobile for long-term storage. Keeping belongings in long-term storage requires a much greater level of care. Invasions and infestations by pests are very real threats. Perfect homes for insects and rodents include cardboard boxes and furniture with upholstery. For pests, it is an added bonus when these items are in storage since detection is usually delayed for a long period of time. A successful last-minute move can seem beyond the realm of possibility, when you consider how grueling moves often are with a month or more to prepare. Try not to panic. A sudden move that doesn’t end in chaos is absolutely doable, with the help of these seven last-minute moving hacks. Proper wine storage is essential for every wine collection. Only about 10% of the wine in the world needs to be aged before reaching peak quality. During the process of aging, the wine gains complexity defined in terms of flavors, aromas, texture, and overall enjoyment. The other 90% of the world’s vino doesn’t involve a waiting period before serving. But no matter what type is in your collection, knowing how to properly store your wine collection is critical. Weather reports have finally convinced you it’s time to put away your boat, jet ski, or WaveRunner for the winter. If you want your watercraft to be ready for spring, it is essential to winterize before leaving it in storage. A full 40 percent of the time, insurance claims made on boats involve damage that occurred during winter storage. The following are examples of what can happen without winterization and steps you can take to protect your boat, WaveRunner, or jet ski during the off-season. 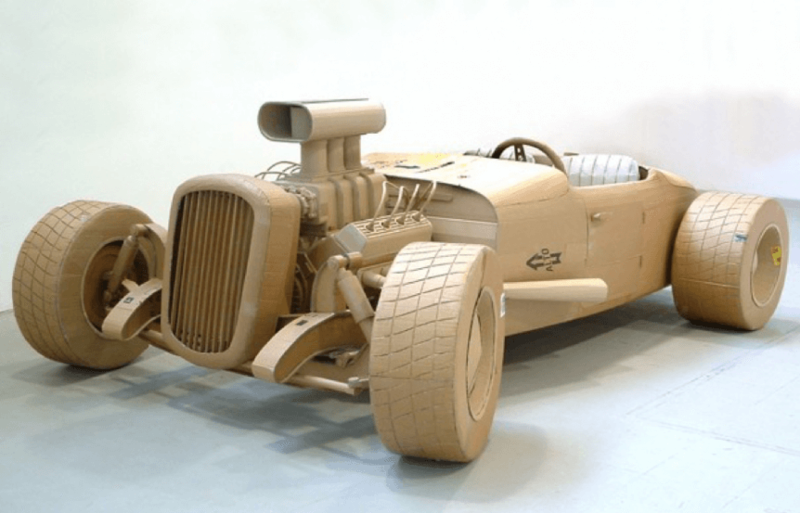 For close to two decades, Chris Gilmour has been making fine art out of one of the most inauspicious materials in the world: cardboard. Born in Stockport, England in 1973, the artist has made northeastern Italy his home since 1997, where he crafts life-sized, realistic sculptures that are displayed in some of the finest art galleries in the world.